The second half of the year is jam packed with opportunities to learn, network get involved and up to speed with the rapid change of pace happening all around us. Metro Screen Connect events brings you a double bill featuring an Open House information session followed by a special presentation on Brand Storytelling and the future of marketing by Jamie Engel (Billy Blue College, General Assembly). Screen Australia invites content makers to attend a public forum in Melbourne or participate in a webinar to hear about the Multiplatform Drama Production program from the people who manage it, including a look at some recently funded projects. There will be opportunities to comment and ask questions. Young Writer/Director Samuel Leighton-Dore is raising the funds to complete his debut short film SHOWBOY (Breaks funded), starring Lucas Pittaway (Snowtown) and Cindy Pastel, the inspiration behind Priscilla, Queen of the Desert. The film follows the story of Julian, a young closeted Drag Queen, as he fights to support his family after the sudden death of his mother. Augmenting reality with tablets and smart phones has seemed like 3D Printers and Jetpacks – tantalizingly close but not “on the shelf” just yet. Watch this excellent TED Talk by Matt Mills on how you can use image recognition software to start trigger reality augmentation. Tele Visions is seeking submissions for screen based works that will be considered for broadcast and presentation in the Tele Visions program at Performance Space in December. They are interested in new and existing works that engage with TV as a medium. Future proof your career by learning the latest techniques for creating story worlds across different platforms. You will learn the skills to cover a variety of content making roles, with an understanding and qualification in transmedia storytelling. Throughout the course you will develop a blog, design and model a project prototype and then pitch it to an industry panel at a showcase. Lead by award winning Australian director, Jonathan Wald. Jonathan’s most recent film, the 30-minute drama ‘What Grown-Ups Know’, has played at 50 international film festivals and won several jury awards for best short. Jonathan’s catalogue of short films have screened in more than 200 international film festivals; featured on DVDs in France and Germany; been included in the National Film Sound Archive’s Mardi Gras retrospective; screened on the Sundance Channel in the US and on Canada’s Moviola Channel; and won numerous awards. Jonathan is also the co-founder of shoottheplayer.com. Lead by award winning Australian screenwriter, Rozlyn Clayton-Vincent. Rozlyn Clayton-Vincent is an award winning screenwriter with a Masters of Screenwriting from AFTRS. 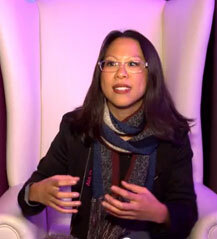 Her short films have screened in competition film festivals around the world. She has two features currently in development and a television series in pre production. Rozlyn has an avid passion for and interest in all forms of storytelling and genres. 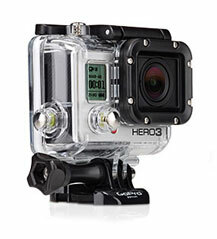 Go mobile and get amazing close up camera angles with the latest Go-Pro Camera kits available for hire at Metro Screen. Small enough to get in to tight spaces, you can even take these high quality cameras under water and control them from your iPhone or iPad. In this year’s Vivid Ideas Exchange, Belvoir and Metro Screen will hosted a Theatre and Technology Mixer. The event was an intimate gathering for those working in the theatre or screen arts industries to meet and create big ideas: technology in theatre, theatre in technology, and all the wonderful possibilities that are yet to be discovered. The format of the evening went beyond a business card swap meet, with a structure to introduce big ideas and create space for conversations that lead to incredible opportunities. Sharp, Switched on Producer wanted for feature length Documentary based in Bondi. Prior Producing Experience preferred, but if not, then a background in Marketing/PR would also be desirable. Above all, a motivated, well connected individual with a passion for the Environment and an ability to accomplish goals will suit the role. There are still 3 weeks left until entries close for the Footprints Film Festival Competition. 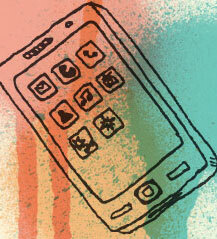 Entrants have the chance to win up to $5000 worth of prizes. Dror Moreh, director of The academy award nominated documentary The Gatekeepers; actress and singer Sivan Levy, who stars in Inch’Allah, Six Acts, and A Bottle in the Gaza Sea; and Hollywood rom com and documentary producer, Howard Rosenman are confirmed as guests of the 2013 AICE Israeli Film Festival, as it celebrates its tenth year with possibly its strongest program to date. Defendant 5: The Fall of the House of Gunns is a documentary webisode series supported by Metro Screen’s Breaks Story to Screen Program 2013. Directed by Heidi Lee Douglas. It is about a corporation that grows too big for its boots, tramples the communities and the people who fight back. It is a cautionary tale about the rising power of corporations, which, when left unchecked, threaten our environment and our right to freedom of speech. Colour Theory with Richard Bell is an 8 x 30 min documentary series, which had it’s premiere in April 2013 and proved to be very successful. It is currently in pre-production on the second series and the project has managed to get DVD distribution through SBS and Madman for the first series. Produced by Mitch Stanley who is a recipient Metro Screen’s Lester Bostock Scheme and also wrote, produced and directed the recent Care for Kids Ear Campaign. A First Date, the latest comedy short film by Director Alex Weinress has picked up Best Comedy at both NY Shorts Fest and Queensland’s Heart of Gold Film Festival. Weinress, who won Tropfest in 2006 before directing Chandon Pictures with Rob Carlton also won two gongs at A First Date’s world premiere at Flickerfest earlier this year. As punishment for breaking the laws of time, the Time Lords have forced the Doctor to change his appearance, taken away his ability to time travel, and exiled him to Earth. But as the TARDIS arrives, so does a meteor shower carrying an alien invasion force. The use of dead car crash victims in the Morgan Brothers’ ‘Blood and Bone’ fertiliser has been a huge boon to business. But it’s been months since their last find and an important new customer is waiting on a delivery. Hopscotch are bringing champion snowboarder and traumatic brain injury survivor Kevin Pearce to Australia to support The Crash Reel, which screened at Sydney Film Festival , and will release on DVD on 7th August 2013. There is a charity screening Monday 29th July in the evening at Cremorne Orpheum with sales going to Royal Rehab Return2Sport program. From Oscar-nominated documentaries to award-winning features, from challenging dramas to crowd-pleasing comedies, the AICE Israeli Film Festival presents the best of Israeli film to Australian audiences.